Lately I've been thinking a lot about self. This was my last year teaching. For the better part of 4 1/2 years this defined me in multiple ways. 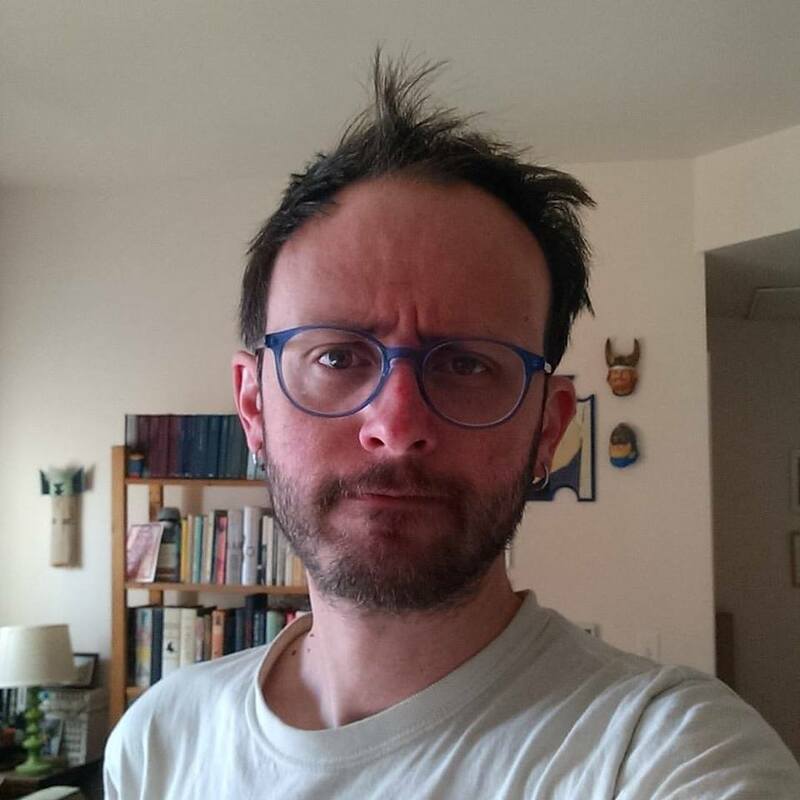 I was a teacher, but also an adjunct. I was paid little better than minimum wage. Making less than $2000 a month. I had other jobs. In the years I taught I also packaged items for online sale, made coffee, worked at a pizza place, wrote food reviews, worked at Publisher's Weekly on book reviews, and freelance edited. I still made less than $40k a year. As a result my identity was one of not having. More importantly, of over-working only to not have. I grew up ok. Not poor. My father was in the US Air Force. The buffer of not paying rent hides a lot of the discomfort of low wages for our military. Ultimately, I had a comfortably lower-middle class childhood. I never went hungry. We went on vacation. I had a Nintendo. My childhood identity was one of not thinking about identity and class. My adult life has sat firmly in the lower class. I only recently crossed the $30k marker. And I often think about how my identity, while not tied to income, is definitely tied to my relationship to $$$. Mostly, this comes out as a comfort in not ever having it. In spending it when I do. This feels like a common response in the lower rungs of America in 2018. You use what you have when you have it. Because tomorrow you will have nothing. For the time I was a teacher I spent most of my hours working at one of the various jobs I listed above. My identity shifting slightly with each. But in the background I was still a teacher. A writer. A person doing "good" work. One year ago the school I worked at until this passed week announced its closure. It wasn't really a surprise, but it was a blow to both the city I live in and to myself personally. I have never felt like the kind of person who would move for a job. And the idea of finding a teaching gig out of New Mexico actively made me anxious. Without the background umbrella of "teacher", who was I. Was I ready to go back to being coffee shop employee, or waiter, or anything else. It was a blow to my self. The school officially closes June 1 but my job there is over May 16th when grades are due. At that moment I will no longer be a teacher. Part of this shift has been trying to find a new job. I spent 6 months last year applying to academic jobs across New Mexico and the country. Most were low-paying or only part time. Many of the out of state jobs were offering less than I was already making. The concept of moving across the country for $2000 a month is ridiculous. But I know people who took those offers. This breaks my heart. I decided I couldn't do this. That teaching, despite it being what I did, couldn't be this huge of a thing in my life that I would take a wage that couldn't even support me. Shedding identities is not easy. I spent most of 2017 in a literal haze. Auto pilot became pretty normal. As this final school year started I looked up for the first time in a long time and realized I had lost myself in the grind to feed myself. I always told myself I was a writer first. Everything else was meant to be paychecks. Somewhere along the way I convinced myself that it was ok to erode the identity of writer to the point where it became hard to say that in response to "what do you do". How does one reclaim land washed away? I suppose the answer has something to do with throwing the garbage in the water until you can build on top of it. The more honest one, the healthier one, is that you don't reclaim it. You move. You build somewhere else. You don't repeat the mistakes you made. You don't allow the river in. A new self will find purchase on the new rock. I wrote this for a friend who is hurting. It isn't going to help anyone but myself. Let's get the weird thing out of the way first. I don't know who designed this cover. Melville House has an in-house design team. As far as I know that team is Kelly Blair and Carol Hayes, but I can't find trace of this cover on either of their personal sites. If anyone has thoughts on this, let me know. 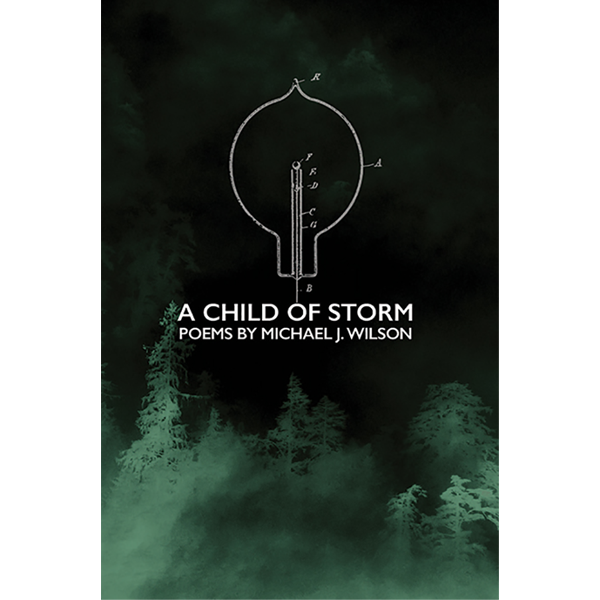 The Neversink Library is Melville House's attempt to "champion books from around the world that have been overlooked, under appreciated, looked askance at, or foolishly ignored" and they all have this silhouette design as the starting point. I picked this book up because it is a sequel/satire of George Orwell's Animal Farm. 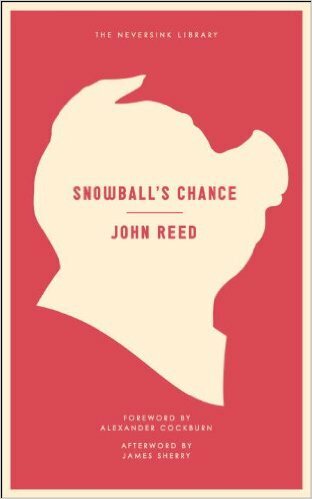 Here, John Reed imagines Snowball, the ousted pig from Orwell's book, returning to the farm and introducing US-style capitalism/democracy to the animals. It is really worth a read, if for no other reason than the incredible way Reed has both captured and made light of Orwell's vision. 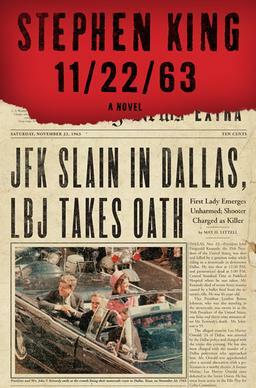 That and the take this book has on post-9/11 America. So I bought the book because of what is inside the cover, but I was immediately taken with the cover. It captures the absurdity of the pigs in both Orwell and Reed's books. The nobility in the stance. The "visionary" quality. This is a pig as Lincoln. 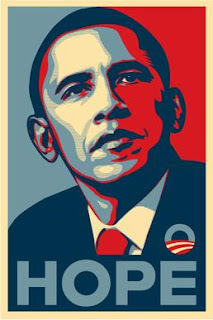 As Shepard Fairey's Obama poster. It's PR. And it makes so much sense. Now, Reed wrote his book in 2002 as a response to the September 11 2001 World Trade Center attacks. So the aping of modern propaganda techniques is interesting. The lead-up to the decade+ response to the attack has been a massive lesson in PR. One that culminated in the Brexit vote and 2016 US election. It is nihilism and cynicism dressed up in logos and advertising dollars. Fairey's Obama poster is an obvious callback to cold war propaganda. But his entire aesthetic is dependant on that referencing. What is interesting is the clear parallels to Soviet-era posters. 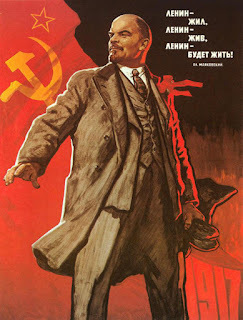 Lenin Lived, Lenin Is Alive, Lenin Will Live! The 'visionary' stance is an obvious trope of political discourse. It goes back centuries. Think of any statue of someone on a horse. Think Napoleon. That many of the examples that are buried in our cultural memory are also tied to oligarchs and emperors is perhaps something to mull over. That desire to influence memory is hugely tied to both the plot of Animal Farm and to that of regimes that use propaganda. And we do it in small ways too. What else does that cover remind us of? 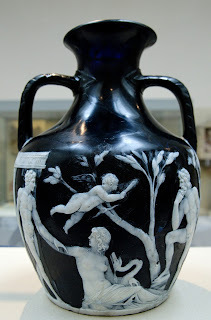 It immediately recalls the decorative form of cameo carvings. That form, where successive layers of alternating colored stone or glass are carefully carved away to created an effect that recalls block printing or murals, is most famous for the silhouetted faces on Victorian brooches that show up in every period film ever made. That a cameo comes to mind isn't really that strange. The Romans heavily used the form in jewelry and containers. The famous Portland Vase is a beautifully preserved example of a glass cameo. The form also resonates to any kid who went to a fair and had one of those black paper cutouts made of themselves. An entirely different form of PR. That of idealized childhoods. It also echos ancient forms of shadow puppetry and the links to allegory and fable-telling that come with that. A form of cultural smoothing to spread information with ease. And through that we come to the work of Kara Walker, which addresses historic and modern evils through the simplicity of paper cutouts. A form of reverse PR where the work emphasizes the darker things left out of these sorts of images normally. What I'm saying is that is that this cover evokes a history of public relations. From antiquity to this very moment. And it drags a lot of baggage in its little pig head.